Die Dive App ist Ihr Portal in die Dive-Welt. Starten Sie von hier die Inhalte, die von uns für Durovis Dive freigegeben sind. Go on a 3D ride through dive city - look around and enjoy! A Game about Heights, in a futuristic abstract Cityscape. This is a VR fps zombie shooter, made for Google Cardboard or any mobile virtual reality headset. An expanding universe of Virtual Reality experiences. Fully immerse yourself in 3D VR or full screen 360 featured stories, with dynamically changing directional binaural sound. Trinus VR streams video to your Android device, and head tracking data to your PC so that you can play your favourite computer games in a VR enhanced way. Combining the Android device you already have and your Durovis Dive you can enjoy a Virtual Reality experience similar to that of dedicated systems, at a fraction of the cost. Take a virtual reality tour of an apartment like you will never be able to see in real life and discover Ryan & Eden's life! This Speedflying 360 degree video in conjunction with Dive, creates revolutionary immersion in a 360 seamless surround video. Experience Speedflying as if you were doing it yourself. Discover four different worlds and unblock holograms that you can visualize with your hand-made pyramid (construction instructions included). Little Vr Shooter is a 3D shooting game in virtual reality that doesn't require a controller or buttons. ‘BLITERATE a mass of Evil Robots bent on your destruction! Test your skills against the unstoppable horde as you attempt to get the high score. Intense VR arcade action with intuitive controls! Dodge enemies as the auto-turret defends your ship. Collect power-ups to boost your weapon’s destructive capabilities! Be careful where you look, because something doesn't want you here. Experience a true horror experience made for mobile VR. Put on your HMD and feel the beat. Hit the targets with the right colour and collect power-ups to reach the next level. Halls of Fear is a Virtual Reality horror game where you have to find cubes to enter the next level. The aim is to stay alive and find the exit. Gravity is getting mad! Take a walk through this virtual world and try to reach the end to get to another level. The Photo Sphere community has produced some fantastic pieces of photography and until now have been limited to displaying them on flat screens. With the coming VR technologies all that is set to change essentially putting you where the creating photographer was, in the center of the composition. What we are presenting many of the best examples of this work, with the creators permissions, for you to enjoy at your own pace. Immerse yourself in a space adventure and explore a new world! On a routine trip the ship where you're working suffer an accident and is forced to land on an unexplored planet... now begin your adventure to survive. Choose your stargate and be teleported to another place or planet (moon, mars, space station ...). 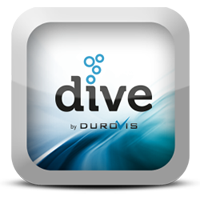 Experience the beautiful Tuscany with Durovis Dive or OpenDive. VR Funfair - a whole theme park in just one app! The ultimate VR kick offers you 17 fun rides and a lot of fun! Start the app, chose your fun ride by focusing it for a few seconds and you are ready to go! Run through virtual reality obstacle courses on the island and in the clouds, solve mazes, climb a cow and fly on the back of a giant bird. Retrieve all the items on the island and return them to their owners. Zombie Alien Hunter VR is a virtual reality zombie shooter. Immerse yourself into virtual reality thanks to your smartphone combined with a virtual reality headset. Use the Android fully supported magnet toggle on the side of the headset to start or stop walking into the scenes. This game is compatible with VR headsets such as Google Cardboard, DODOcase, and Durovis Dive. Find your way out of the Labyrinth. You only have 210 seconds before the light of your candle goes out. Inspired by the popular car drive-in movie theaters, that were all the rage throughout the United States in the 60s, CINEVEO’s 1960 Drive-in Theater v2.0 will let you watch your movies from the seat of an ultra-detailed 1958 Buick convertible car, with a fully modeled interior and exterior. CINEVEO’s Ocean Theater v2.0 is an ultra-realistic and incredibly immersive VR Cinema environment, teleporting you in front of a gigantic cinema screen, located in the middle of the ocean at dawn time. Titans of Space® is a short guided tour of our planets and a few stars in virtual reality. This game was done during the Global Game Jam 2014, so don't expect any miracles … YET! Welcome to the (VR) future NOW! Always wondered how it would look like to play Asteroids in first person 3D and Virtual Reality? This Virtual Reality 3D Asteroids game version support Android smartphones and tablets with a HMD. It can be played with or without a controller. Actually your head/neck/body is your controller! Defend the incoming wave of teapotcopters in this 3D base-defense game! The vicious teapotcopters aare attacking Earth and it is up to you to defend it at all costs! Fly your helicopter, and defend the incoming attack! Gather CopterCoins to unlock new helicopters, upgrades, levels and skins! Use a magnet switch to shoot and destroy all the astroids to surpass your own highscore. You ever wanted to meet a real dinosaur? You want to see how they live and move? Take a look into the world of Dino Tours VR. Attack the zombie before the zombie attacks you! Head Tracking Virutal Reality Game! Use your head to control the Jet through the Canyon. Keep an eye on your fuel level by collecting the barrels. If you fail, you go down and the mission has failed. This app represents a typical night view of Lantern Festival celebration. Serene mountains lit by full moon reflect in river, and flickering lanterns are both in the air and on the surface of the water. The Lantern Festival is celebrated in many orient countries, including China, Indonesia, Singapore and Malaysia. During the festival, people launch paper lanterns both to the sky and to the water. You are in the middle of the forest surrounded by monsters! If you want to see tomorrow's sunrise be fast and destroy them all before they eat you! Project VisoR (Vision Improvement via Streamed Optical Remapping) is built on the idea of using computational transformations on augmented reality devices to provide correction for a variety of visual problems that cannot be treated with regular glasses. Currently, the app provides filters for simulating the major forms of colorblindness, and corrective filters to enhance color contrast for viewers with the respective forms of colorblindness. There are also additional fun filters for inverting or posterizing colors. This is a free teaser of Strike the Colour, which should be released in late September or perhaps very early October. It's worth noting that this is not a demo of my game, but rather a teaser app. Strike the Colour will feature levels, multiple obstacle types to avoid, an expanded soundtrack, and various other goodies. This flight simulator was created for 3D-Headsets like the Durovis Dive. Explore the area from the air and destroy everything that moves. You need a Bluetooth-Keyboard or e.g. the Snakebyte-Controller "idroid:con" to play this demo. It is recommended to use headphones for a better ingame experience. Take a walk through a very special animal park. You can find anthing from sheeps and horses to dinosaurs and dragons. Escape from the Borg Colony and try to get to the federation spaceship. To move you don't need any controllers. Just look up to activate auto-walk and look down to stop moving. The direction is controlled by your head movement. For realistic immersion please use headphones. 360 degrees and awesome 3D graphics for this virtual reality interactive experience for your Google Cardboard. and PLAY if you want to try to explode the fireworks yourself. Look at the rockets to ignite them and make combos to unlock the heaven lights. You want to feel like a fly? No! Be the fly! Discover the area as a fly, you might find something valuable. What does a worker that hangs from a 1200 feet high building feel up there? Experience a virtual reality jump and run game that requires no gamepad, magnet or touch controls. You can control your movement speed, turn and jump with just your head. The game ends with an optical illusion in the vortex tunnel. ...but beware of the canyon. You want to ride a motorbike? What about testing this virtual reality app. You can drive down the road with high speed or practise a few crazy jumps with your Enduro. No matter what you are about to do: don't forget your helmet! You want to go for a walk in the space. Here is your chance! You need a Bluetooth-Keyboard or e.g. the Snakebyte-Controller "idroid:con" to play this demo. Escape from the dungeon of terror but be careful, the death can hide behind each and every corner! This is a preview of VRTube, an Youtube player that focuses on VR experience! This preview does only one simple thing: play side-by-side 3d stereoscopic formatted youtube videos in the correct aspect ratio so you can enjoy them with your HMD. Crush & Run VR is a virtual reality experience made by an indie studio called Invfernal. You are jumping of a building right into the middle of a surreal cinematic scene. Enjoy the ride. You need a bluetooth controller and the dive to experience this app. Try the experience to fly a plane like in real life. Destroy all the asteroids while floating through space.